As one of the beloved acts to see LIVE at Red Rocks Amphitheater… Old Crow Medicine Show never fail to bring the on stage charisma and charm! With their sensational dancy Country music – Old Crow Medicine Show impress fans where-ever they go. Catch them on Friday 17th August 2018 – it's going to be one hell of a show! Tickets on sale now! Get yours today! Old Crow Medicine Show are one of the biggest acts on the Nashville scene and it's as clear as day why! These guys have that classic Americana string led sound that fans just can't get enough of. With the support of Grand Ole Opry, they have built a long standing reputation. With their wide range of instruments, they cross over old-time, folk and alternative Country. When they first started out in 1998, like many, they began busking on the road and in their local scene, even in the rain, Old Crow Medicine Show performed around the market in Seattle, in front of a Starbucks. Their music has plenty of history and good time memories and were actually discovered whilst busking outside a pharmacy in North Carolina. Now many years later they are a majorly influential group, not just in America but worldwide, even influencing the likes of UK based, Mumford and Sons. Throughout the years they have created incredible records that have grabbed the media's attention, taking to the charts and gained Grammy Awards along the way but it wasn't until recent year where they feel like they have truly 'got it' under their belts. "It took 16 years to find out how to make a record like that." 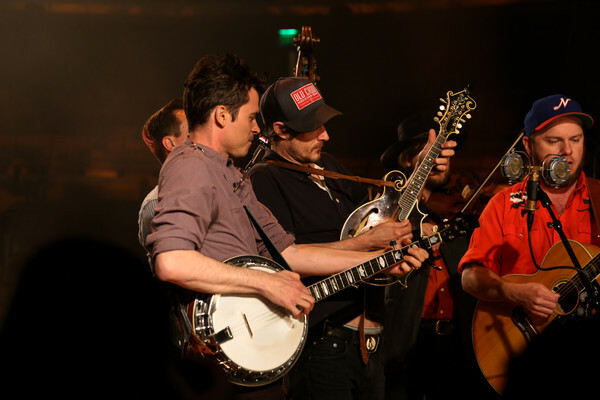 Come and see what Old Crow Medicine Show are all about as they take to the Red Rocks stage once again! Guaranteed you put a smile on your face! !